Grab objects from up to 5 feet away with this springloaded miniature grappler. Capable of grabbing objects as heavy as a lawn chair or as light as an empty can of pop. Simply lock the claws open, and swing it out at your target. The coiled stainless steel chain un-winds as the claw is launched forward. 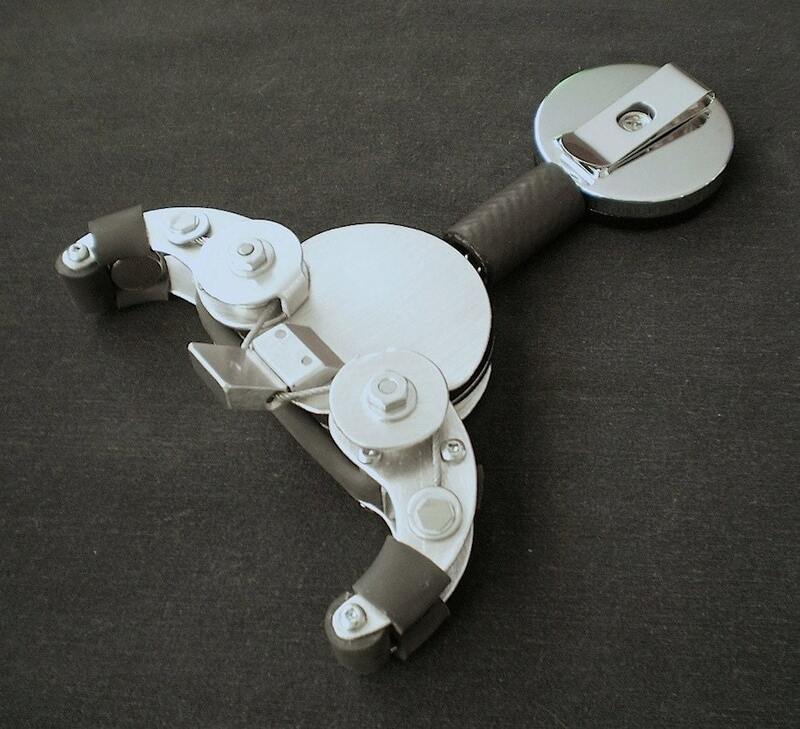 A direct hit in the center of the claw triggers the mechanism snapping the claw shut with a solid grip. The grappler then automatically retracts allowing you to catch it in your hand on return. To enhance it's function neodynium magnets have been added to guide the claw towards metal targets. 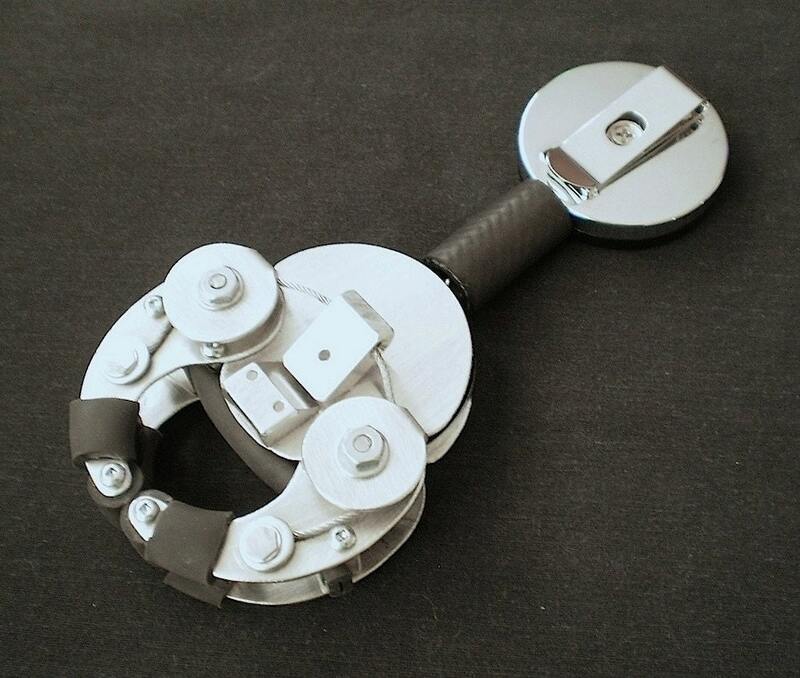 The tips of the gripper are covered by high quality elastomer rubber commonly used in slingshots. No batteries or cartridges required. 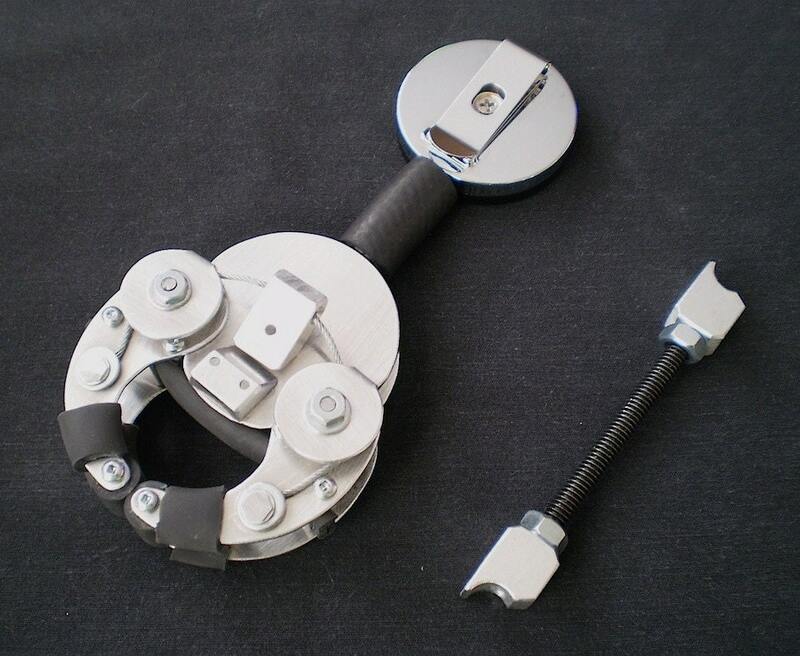 Made of tempered 6061 aluminum for low weight and high durability. In order to load the device the claws must be spread open and the trigger locked into place at a 45 degree angle as seen in the pictures. 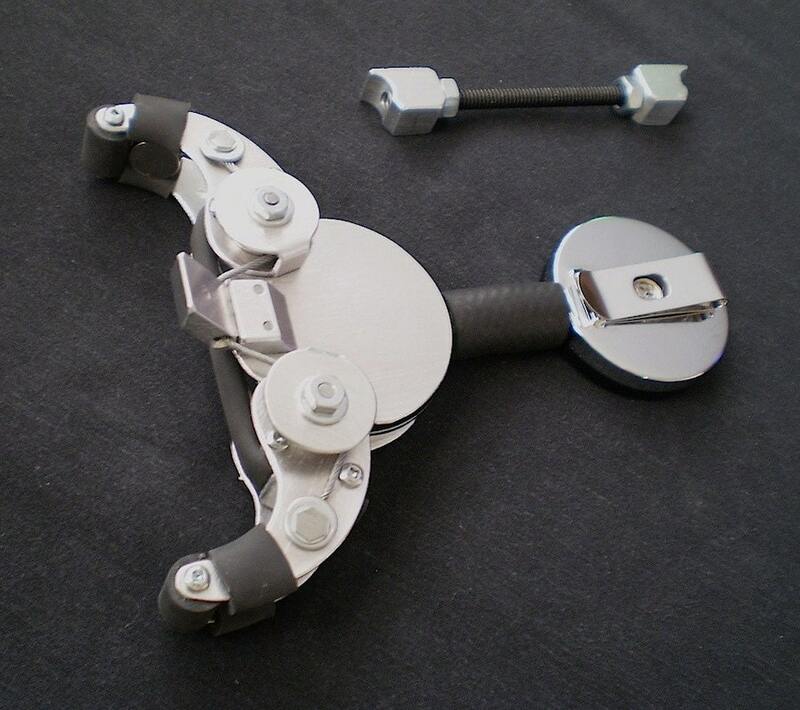 A spreading tool is included to aid beginners in using the gadget (see video demonstration below "Grappler Opening and Setting"). Once you have become familiar with it's function you will be able to load the claw quicker and quicker. Aiming the claw will also take time to learn. Sending the claw out on a straigh path without twisting or choosing to grab objects side ways, horizontally, upwards, and downwards, will take time to learn. Once you have mastered it's functions you will be able to grab objects with ease. In the videos below you will see the grappler grabbing an empty pop can off a table. This is the hardest trick to master because a direct centered hit at high speed is required to trigger the claw. Start off by learning how to "throw" the claw. Holding the base with your palm and smallest fingers and the claw with your fore fingers and thumb and swinging it outwards in an underhanded motion releasing the claw at the last second. 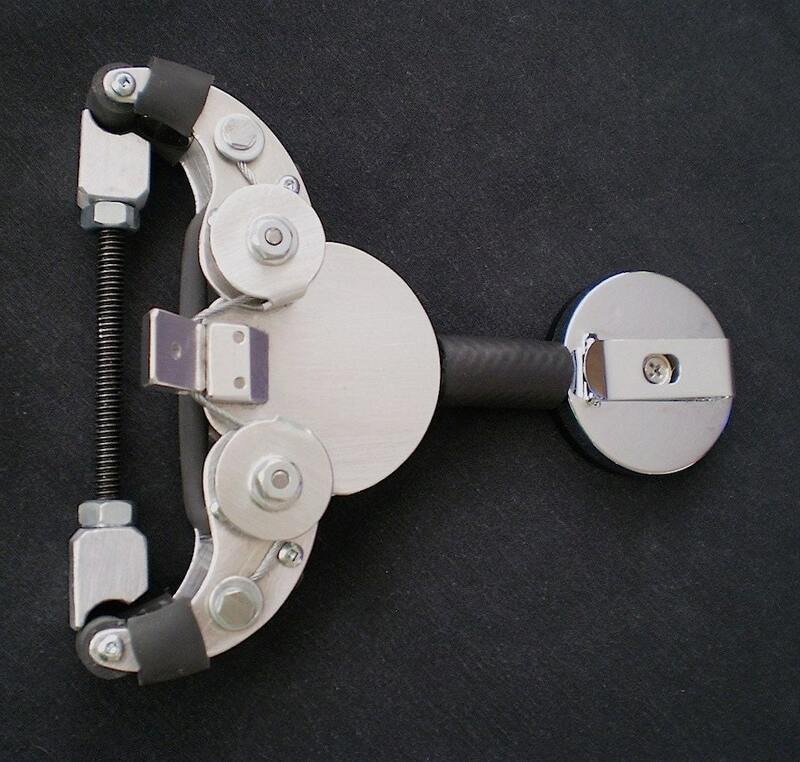 Do not worry if you hit the claw off objects, it is designed to absorb heavy impacts and the prototype was tested under harsh and repeated conditions. Standard construction time is 1-2 weeks plus one week for delivery to canada and the US. Two weeks delivery to international destinations.